The romance of Lake Arrowhead’s scenery: the crisp mountain air, the sound of waves lapping against the shore on the lake, the cozy smell of smoke wafting from chimneys of the houses nestled around the lake work together to provide the ideal backdrop for a romantic walk around Lake Arrowhead Village. Lake Arrowhead Village is home to over 50 shops and restaurants, ranging from outlets to specialized boutiques, making it the perfect spot for checking off your holiday gift list. So you won’t just find one-of-kind items at specialty shops but can discover deals that rival or beat anything offered in the snow-free valley below. Lake Arrowhead’s average autumn temperatures can be chilly, ranging from low 30’s to highs in the upper 50’s, Fahrenheit. Prepare for temperature changes by packing layered apparel like sweaters, a good warm jacket, gloves, hats, and scarves. In addition to being restful and calming, nature is rejuvenating for both the body and soul. Whether you’re soaking in the beauty of Lake Arrowhead from the comfort of your Lake Arrowhead rental property’s deck, or meandering along a nearby forest trail, the sights and sounds of nature are a soothing balm to a work-weary soul. 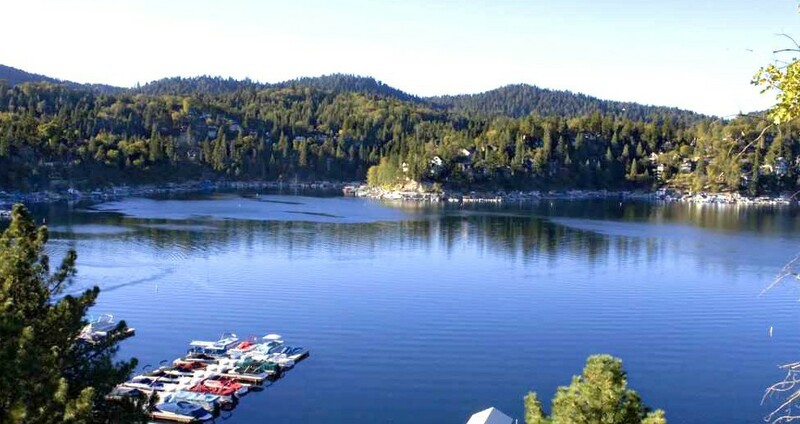 Lake Arrowhead offers a welcome getaway from the hustle and bustle of city life below. Relax among the pines, breathe fresh air and take in the majestic views of the forest. In Lake Arrowhead, every good little girl and boy will have the opportunity to make a holiday craft with Santa’s Elves in his workshop. Or write a letter to Santa and give it to the big guy himself!